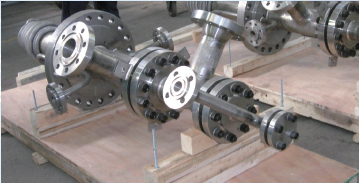 In a SINOPEC’s methanol plant, the Inconel 600 burner of the Texaco gasifier needs to be replaced. The gasification burner works in extremely harsh conditions: high pressure, high temperature, severe corrosion & erosion by the coal-water slurry and oxidant. After working for 9 months, the burner was burnt down and must be replaced. 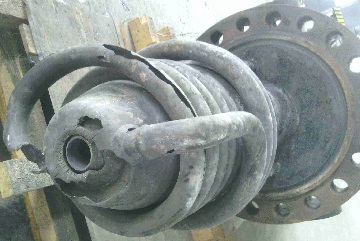 The failure of a Texaco gasifier burner made of Inconel 600. The 3-pass burner is wrapped with Inconel 600 tubes as cooling coil which is failed. Metals-Piping supplies ASTM B167 UNS N06600 seamless tubes and mounting flange for the construction of the new burner. The new Texaco gasification burner with external Inconel 600 piping structure.